As Taliban members and a delegation from mainstream political parties of Afghanistan prepare to gather in Moscow for talks on peace, some Afghan women said they remain concerned about the future of their rights that whether they will be reserved under circumstances which will be created following a possible peace agreement between involved parties. The women said the politicians, who will attend Moscow talks, should not compromise on democracy and women’s rights in the peace talks as they believe that these values have been achieved after tremendous sacrifices by Afghans. From almost 60 people representing mainstream political parties in the Moscow talks, three are women, as some participants of the meeting put it on Monday. Some Afghan women, who gathered at a conference in Kabul on Monday and who were interviewed by TOLOnews, said they expect their role to be significant in the peace process. They reiterated that human rights should not be compromised while talking peace with the Taliban, who, the women said, had imposed ban on female education and other civil liberties during their rule in Kabul – 1996 to 2001. Saadia during a training session at a gym in Kabul. Saadia, who joined school after the fall of the Taliban rule in 2001, says she has gained a fame in boxing. Saadia said she has been in the field for nine years and that she is preparing for 2020 Olympics in London. However, she added that she has a fear that the new political developments “may hinder her dreams”. “The situation in Afghanistan is quite distressing, specifically for me, who has many dreams,” Saadia said. 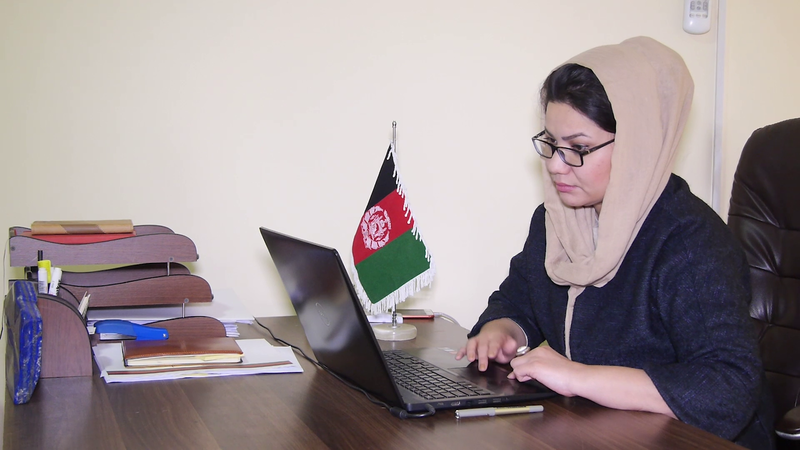 “I have dedicated my time and my life for sports so that I can raise Afghanistan’s flag at international events, but the situation in the country remains fragile… The Afghan youth are very concerned,” she added. Munira Yusufzada, a women’s rights activist, said she remains concerned about a potential compromise on the gains the country has made in its strides towards democracy over the past 18 years. She said that recently she wrote a letter to US Special Representative for Afghanistan Reconciliation Zalmay Khalilzad in which she asked the US envoy to value Afghan women’s rights in peace talks. “In my letter to (Zalmay) Khalilzad, I asked him to take into consideration the aspirations of the people,” said Yusufzada. “On the other side of the talks, there are Mujahideen groups whose policies are not much different from the policies of the Taliban,” said Horia Musadiq, a women’s rights activist, as she pointed at the Moscow talks. “The issue is that those who will attend the (Moscow) meeting and represent us are those who are responsible for all these miseries (in the country),” she claimed. Another activist, Zahra Yagana, said the Afghan women will stand against the ideas which want the dissolving of the Afghan army. She said such an idea “will only benefit the armed opponents”. The remarks come as the delegation attending the Moscow talks in a statement vowed to defend human rights as well as women’s rights and the achievements of the past 18 years at the meeting. Women’s rights activists said they hope their rights are reserved in any talks about peace in Afghanistan.